Whether you require a custom shower door to match your bathroom décor, or a more traditional door with timeless appeal, Schicker Luxury Shower Doors can provide the best fit for your needs and budget. Not sure what you want? Let us design something for you! Our exacting standards and professional installation provides ease of use for years to come. 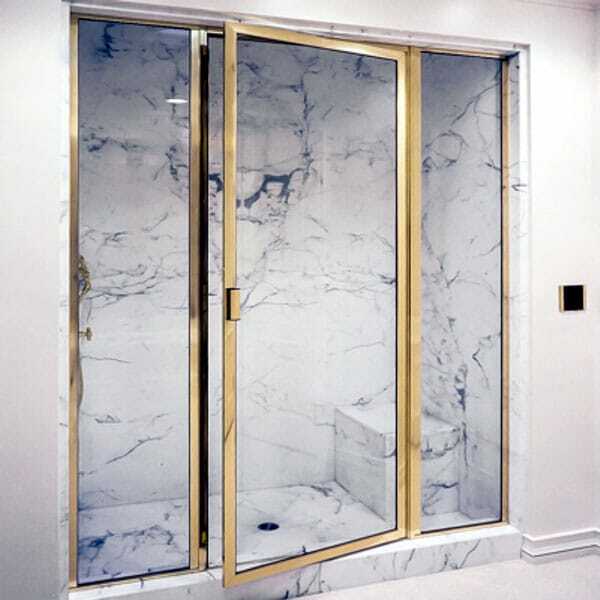 THE BEST SELECTION OF SHOWER DOORS & ENCLOSURES IN THE BAY AREA! 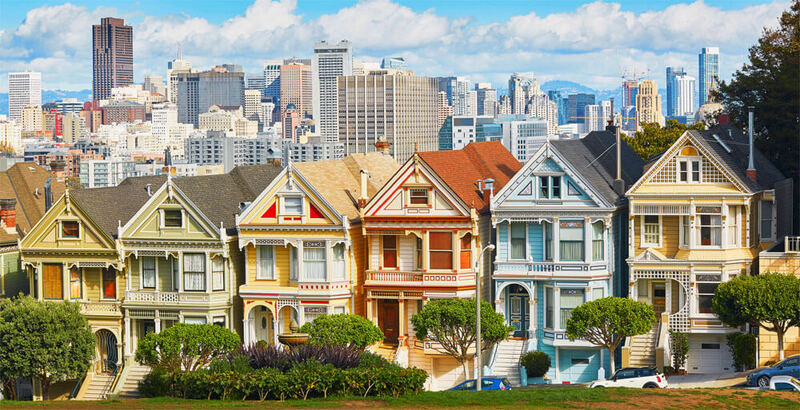 With our main offices and showroom located in Concord, Schicker is just a short drive from anywhere in the East Bay Area. You can view many of the shower door models we have on display and get all your questions answered regarding installation and pricing. For your convenience, we also offer in-home estimates! With sought after brands such as Alumax, Fleurco and UltraGlas, and everything from standard sliding shower doors and tub doors to custom glass shower doors for your luxury bathroom, Schicker Luxury Shower Doors can provide a style to match your design requirements and budget. Our reputation was built on providing outstanding quality, service, selection and expert installation, supplying high-end shower enclosures and tub enclosures to home owners throughout Northern California. 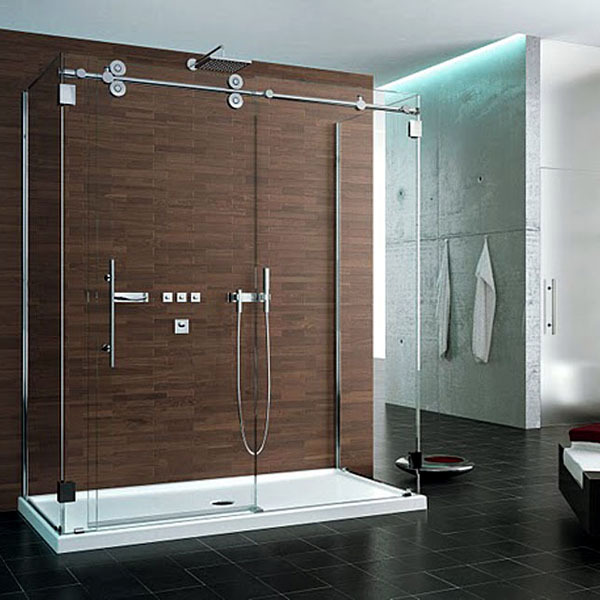 At Schicker Luxury Shower Doors, we believe quality shower door installations are as important as the product itself. Our experienced installers are company employees – not sub-contractors. 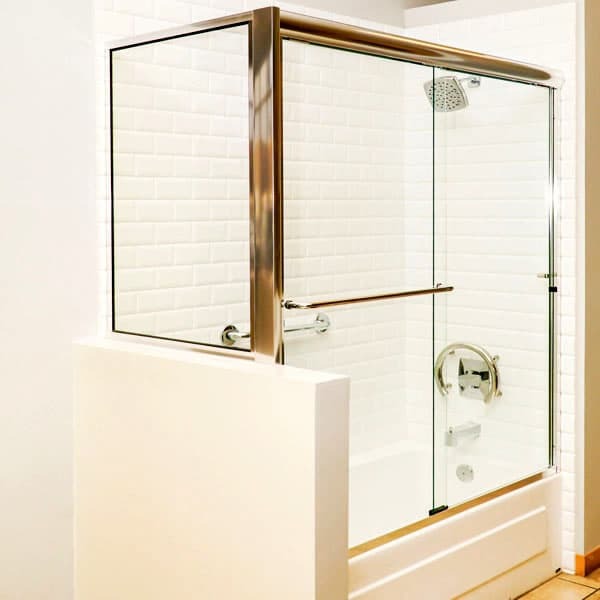 All together, they have a combined 35 years experience installing both glass shower doors and custom shower doors. 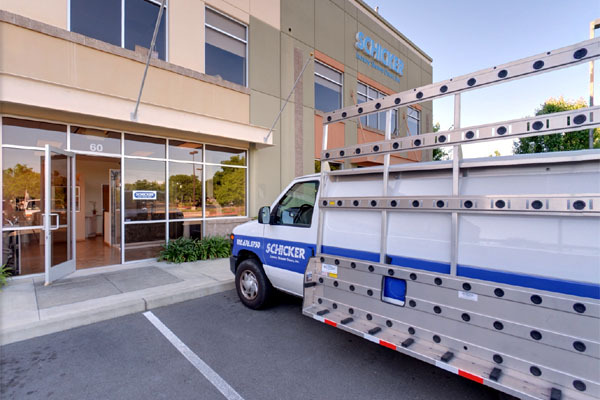 Your Schicker installers will always treat your home as if it’s their own, respecting your property and ensuring that your new shower door is installed efficiently and to our exacting standards. FIND A SCHICKER DEALER LOCATION CLOSE TO YOU! Based in Concord, CA, Schicker Luxury Shower Doors are also featured in dozens of showrooms throughout San Francisco Bay Area. 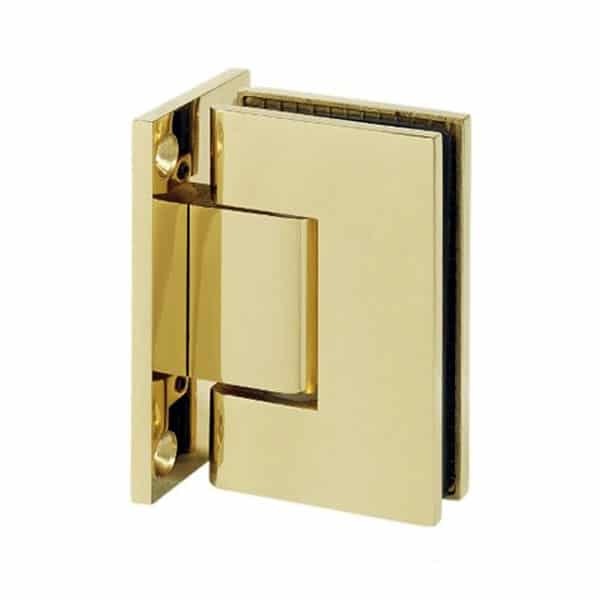 You’ll find options for our distinctive line of enclosures, glass styles and shower door hardware. All our shower door dealers have knowledgeable staff to help guide you through the selection process and truly make your new shower a one-of-a-kind statement. So, when you’re looking for Bay Area shower door companies, remember to ask for Schicker by name. 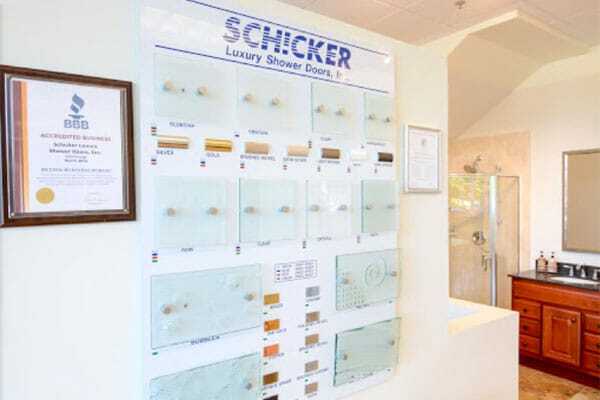 Schicker Luxury Shower Doors has been in business since 1980, serving customers throughout the Bay Area and Sacramento with custom shower doors that stand the test of time. In a recent independent study by Diamond Certified, over 90% of customers surveyed said they would do business with us again and would recommend us to their friends and neighbors. We have high standards for excellence in both product quality and service, making us one of the most trusted Bay Area shower door dealers. 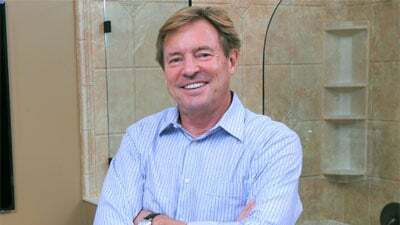 Peter Schicker started Schicker Luxury Shower Doors in 1980. Coming to the US from Switzerland in 1980, by way of Australia, Peter arrived with a background in construction management. He saw a niche opportunity in the area of custom shower doors and started the company in his garage. This proved an excellent incubator and he soon expanded to commercial space. Before long, the name Schicker became synonymous with quality workmanship among custom builders, architects and designers. Excellent service, very professional. Left my space cleaner than when they walked in! Love our new shower doors. Wonderful, quality workmanship, extra thick glass and smooth rollers! Smooth installation – Wife loves new door – that’s all that matters. Excellent installation and superior customer service! Outstanding work. Your men are true professionals! 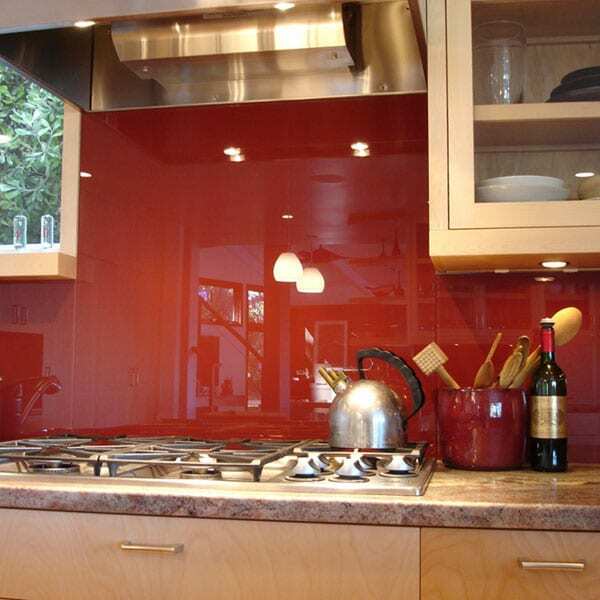 What Is Diamon-Fusion Glass Protection? Should You Choose Framed or Frameless Shower Doors?